SHOP NOW and HERE for all your DIY Projects! I am SO excited and honored to introduce you to my existing and new merchant affiliates and their incredible products! Hello FALL! …or is it AUTUMN? What is Your Plant Hardiness Zone? January and February are normally our coldest months here in the Idaho mountains; and this year is proving this to be true again in 2019! It was 8 degrees this morning at 7 a.m.! It turned out to be a beautiful sunny day “warming up” to the 30 degree range by the afternoon. 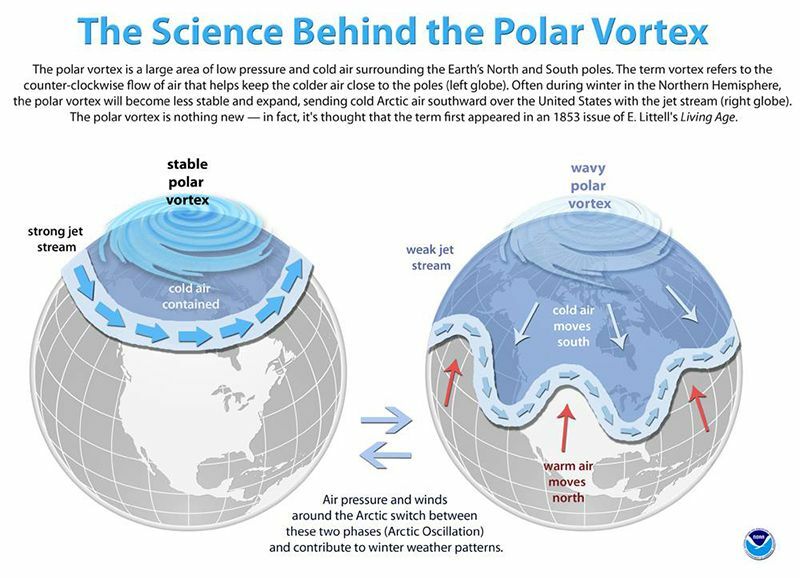 The U.S. Midwest is being hit with a Polar Vortex with sub-zero temps. In some areas it is colder that it has been in a generation! So, I wanted to post some Do It Yourself winter readiness information that will help you stay informed and to keep you warm and safe. Stay weather WISE with this interactive weather map link: Show me weather in… (type in your location) Enter your location and select future forecast periods. Use your weather wisdom to plan your winter activities and appointments. You can download a weather calendar from the above link. Protect and maintain your vehicles to ensure they will be operational when needed. If possible, keep them in a garage, under a carport, or covered to keep your windows clear and ready to go. Winterize your car. Use this checklist. Washer fluid: Top up. You don’t want to run out while driving in freezing rain or sleet. 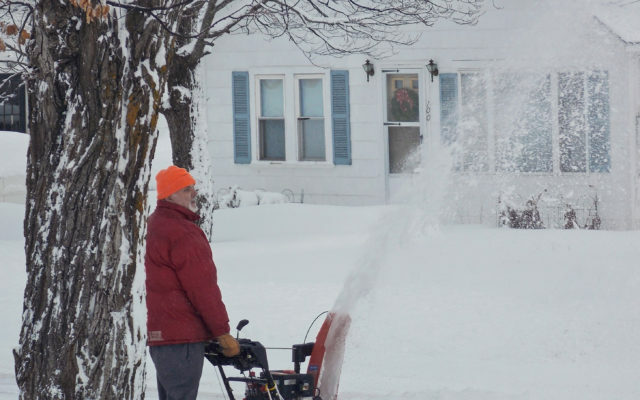 Only use fluid that’s cold-weather rated for a minimum -20 F, like Rain-X de-icing additive. Tires: Make sure they have plenty of tread. If you aren’t sure how to determine this, get them checked out. Many tire stores will do a tread check for free. Alternatively, place a quarter into several tread grooves across the tire. If part of Washington’s head is always covered by the tread, you have more than 4/32 inch of tread depth left, which is OK.
Tire pressure: Tires lose pressure in the winter because cold air contracts. Brakes: If they’re squeaking or feel soft, get them checked. It’s hard enough to stop on icy roads with proper brakes, let alone worn-out ones. Wiper blades: If you’re ready for a replacement, check out Bosch Icons. Battery: Don’t be the unlucky person with a dead winter battery. Some brick-and-mortar retailers, like AutoZone, will test your battery for free so you know it can still properly hold a charge. Oil: Use 5W-30 weight oil, which is common for year-round use. Engine air filter: Remove it and hold a lamp or flashlight to it. If you see light through most of the filter, it’s got plenty of life. But if the light is mostly blocked, replace it. Coolant: You want a 50-50 mixture of antifreeze and water in the radiator. Gas: Don’t run it until it’s empty. Some say to drive in the “top half” of the tank with more frequent refills, so you’re less likely to be caught with little or no fuel. Having a full tank also helps prevent moisture from freezing in the gas lines. Belts and hoses: Especially for older vehicles, make sure drive belts aren’t cracked or frayed. Ensure belt clamps aren’t loose. Door weather stripping: Wipe the soft, rubbery black strips inside the doors with Armor All or silicone spray lubricant to keep them from freezing shut. Extra deicing fluid. Even if you top up your washer fluid during maintenance, some people keep extra in the car because they burn through it in the winter or use it to rub down windows other than the windshield. Wool blankets, sleeping bags, or emergency Mylar pouches in case you need to sleep in your vehicle or outside in the cold. Emergency (Mylar) blankets, bivvy, or cold-rated sleeping bag. Warm clothes: layers, gloves, hat. Even if you have some in your GHB, two is better than one. Appropriate footwear. Don’t get caught walking home in a snowstorm in your work heels. A bonus option is Yaktrax cleats that strap onto your shoes. For RWD trucks, add weight to the bed of your truck, which could be accomplished with bags of salt or sand. Backpack to store some of these items in case you have to leave your car and walk home. Prep your home for very cold weather. Budget for the unexpected cost of heating your home in extremely cold weather. If you have wood burning heat source, be sure that you have an adequate supply of dry seasoned firewood. If you have, propane/gas heating, be sure your tank is full and recently serviced. If you have electric heat, make sure your HVAC is inspected and all repairs accomplished. Invest in a home generator for back-up electricity source. Test it to make sure it operates as expected. Install an audible UL-listed carbon monoxide alarm. Test it to be sure it operates as expected. If you use space heaters, limit them to 1 per room and ensure there is always at least a 3 foot clearance around them. Close off heat vents in unused rooms and keep the doors closed. Plan what you will do if you have a long term power outage. How will you heat your home? How will you cook your food? How will you keep perishables from spoilage? Stay stocked up on all your food staples in case you are home bound for a long period of time. Don’t wait to the last minute to do your shopping. Even if you are able to get to the market, in really bad weather, the stores may be closed when you get there! Prep your snow removal tools and equipment to be sure they are ready to use and are stored in an easy to access location. If you have a chimney, have it inspected and cleaned. Install heat tape on your roof to prevent roof ice dams. Cover your crawl space vents and wrap pipes in crawl space/attic with insulation material to prevent them from freezing. Be sure you have an adequate supply of de-icing salt to keep your home entries safe. Inspect your house foundation for cracks and repair them. Inspect seals around your doors and windows and replace as needed ensure they provide proper insulation from the cold weather. Prepare an Cold Weather Emergency Kit (similar to you car’s emergency kit) and talk through your emergency plan with all family members. Educate yourself and acquire some cold weather survival skills. Here are a few educational websites with great DIY cold weather survival tips. USE YOUR GOOD OLD FASHIONED COMMON SENSE! Know the road conditions and stay off the roads as much as possible when there is a risk of snowy/icy roads. Practice putting snow chains on your tires before you need them. See this video on how to put snow chains on your tires . Know what your vehicles’ tire pressure should be in cold weather. Your vehicles’ tires may slightly deflate in very cold temps causing your ‘low tire pressure’ light to come on. Always allow your vehicle’s engine to warm up before your leave. When the temps drop into the single digits and below zero, stay INDOORS. If you are going to be outdoors in frigid weather, whether for work or play, dress weather appropriate. Here are some basic principles to keep warm while outdoors in very cold weather! Keep clothing clean and dry. Wear clothes loose and in layers. Protect your fur babies. Remember if you are cold, your pets are too. Most domesticated animals (dogs and cats) cannot endure freezing (32 degrees Fahrenheit and below) temps. Bring them indoors especially at night. Even the animals that stay outdoors in cold weather need a way to keep their water from freezing and a warm dry shelter to sleep. I hope this information helps you survive this very cold winter season. This summer is passing by at rocket speed! We have been crazy busy with one project after another… and NO time to write about them! And there is SO MUCH to write about! Where do I begin? It’s been both rewarding and frustrating. We are getting some really awesome experience to pass on to you. Things are finally slowing down a bit; so, I will jump into documenting our DIY stories and tips very soon. Thank you for sticking with me! Is the weather preventing you from getting outside and doing the things you enjoy? Take advantage of your indoor time and get ORGANIZED! I know it seems overwhelming and you are feeling a little lazy these days. But, think about all the time you waste looking for things and the money you waste when you end up buying what you can’t find! Being organized can help you find and utilize your things quicker saving you precious time and money. Imagine how much more time you will have to do all those things you enjoy if only you could FIND that picnic basket, fishing/camping equipment, golf clubs, surfboard and those water skis. Where did you put them? Organize once and maintain it with a durable long lasting system/products and you will never have to feel that frustration again. To get organized you will not only need the incentive to organize your chaotically stored items, you will also need some organization tools to facilitate that effort. Of course, there are a lot of great organizers out there, so you need to do your research and find the one that works best for you. In my search for good organization system for our own cluttered garage area, the FLOW WALL product line caught my eye and even seemed familiar to me. You see, my husband loves to watch car restoration shows; and I remembered noticing how organized the garage storage areas and work space is. Now, I realized the Flow Wall product line is being used on several of these TV shows where organization is the key to efficiency …and prosperity. I noted that the host of some of these shows is endorsing the Flow Wall product line for use in garages. Although, this article is primarily focused on organizing garage spaces, you can customize this system and products for many other cluttered areas. Per it’s advertisement, Flow Wall is the most effective way to organize your garage, laundry room, or tool shed. With the innovative plans and designs, you can create a custom storage space that will help you eliminate clutter, organize your belongings, and easily find what you need. You can purchase cabinets, shelves, and bins separately or get the whole package with lifestyle and starter sets. Our garage is definitely a ‘sore subject’ in our house. Ever since our move in 2016, we have been throwing away things we thought we would never use again and ‘storing’ massive amount of ‘stuff’ that do not know what to do with yet. That ‘storage’ method has gotten out of hand. When we realized that we could no longer park our cars in the garage and were spending way too much time trying to find things, we decided it was time to take some serious action to put an end to that frustration. Oh, there are other cluttered storage areas that are equally frustrating; but, we are starting with the garage intending to create a ‘grab and go’ garage storage system for a fun summer and to make our winters easier. Here is a Garage Make Over video depicting how a this type of transformation can be done. By the way, this was a Flow Wall give away! TIP: If you are not sure where/how to get started, Flow Wall offers a planning guide that will walk you through the process of identifying your storage needs, measuring your space, and finding the right storage equipment for your needs. They are ready to help you make the most of your space. Click this link to the Flow Wall Garage Organizers website to get started. Make sure that you take advantage of the current discounts, sales, and giveaways. Here is the endorsement that caught my eye. WINTER is another season filled with it’s own unique magic and a perfect ending/beginning to the year. I will be working to help you bring this magic into your home in ways that will help you make the best of this beautiful time of the year. To get you in the mood, I hope you enjoy this timeless rendition of WINTER WONDERLAND by Johnny Mathis and the incredible winter photography. I hope you and your family had a wonderful holiday season and are ready make your NEW year one of the best yet! I took a little break in December; but, I am back now and will be providing you with new tips to improve your home and garden. Please stay tuned to this website as I continue to build its content and them with links to amazing discounts that will facilitate all your home and garden projects in 2018 -and help you stay within your budget. Go to the SHOP NOW tab and click on the *NEW Special Offers link to stay up to date on the most current sales -or click on any of my advertisers for direct access to any of your store-specific shopping needs.